AN EAGLE, THE EMBLEM OF RIGHT. SINCE HE JOINED WITH THE YOUNGSTER NEXT DOOR. AS HE TOLD HER THE MESSAGE IT BORE. AND SAY WHY IT'S ONLY A PIN. ARE THE SYMBOLS OF HONOR AND TRUTH. AND GUIDE HIM ALONG THE RIGHT WAY. AND WILL THROB TO THE LAST FOR THE THINGS WHICH ARE GOOD. When a boy reaches the rank of Eagle Scout he’s still a boy, but he is no longer an ordinary boy. 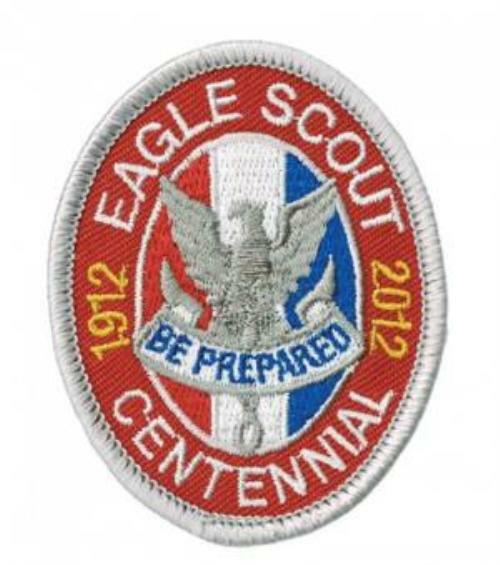 Only one percent of the over 50 million Scouts who have eagerly started off on the Eagle Trail since the beginning of scouting in America in 1910 completed the journey. The Eagle has followed a long, rugged, and rewarding trail. No two Eagle Scouts are exactly alike, yet all are fundamentally the same. He realizes his obligation to the movement that gave him the opportunity to gain and develop these attributes of character.